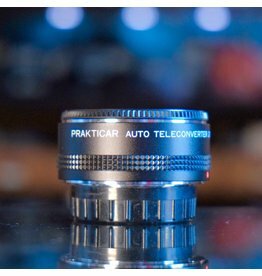 Prakticar 2X Automatic Teleconverter Lens for the Praktica Electronic SLR mount. In excellent condition, with original box and case. Rear cap not included. Prakticar 2X Automatic Teleconverter Lens. 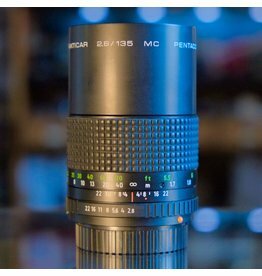 Pentacon Prakticar 135mm f2.8 MC lens for the Pentacon Electric lens mount. Clean optics, good diaphragm, slightly stiff focusing. Pentacon Prakticar 135mm f2.8 MC.